The tune, which first appeared the 1986 “Live ?! *@ Like a Suicide” EP, is one of several bonus tracks included in the new packages. The 4CD/7LP “Appetite For Destruction: Locked N' Loaded” box set features 73 total songs – including 49 previously-unreleased tunes – while presenting a remastered version of the original record (presented across 2LPs) and a Blu-ray audio disc with new 5.1 surround sound mixes alongside the band’s 1986 EP "Live ?! *@ Like A Suicide", a second EP containing B-sides from the era, 25 previously unreleased recordings from the band's 1986 sessions at Sound City studios, and two previously unreleased tracks from their recording sessions with producer Mike Clink. The expanded package also includes a 96-page handbound book with unreleased photos from Axl Rose's personal archive, 12 new illustration lithos visualizing each song from the album, seven 7” singles and replica band memorabilia from the era. A 4CD/1Blu-ray Super Deluxe Edition also includes the 96-page book featuring unreleased photos from Axl Rose's personal archive; a deluxe edition is available as a two-CD set or as a double LP pressed on 180-gram vinyl, as well as a single CD version featuring the remastered album. 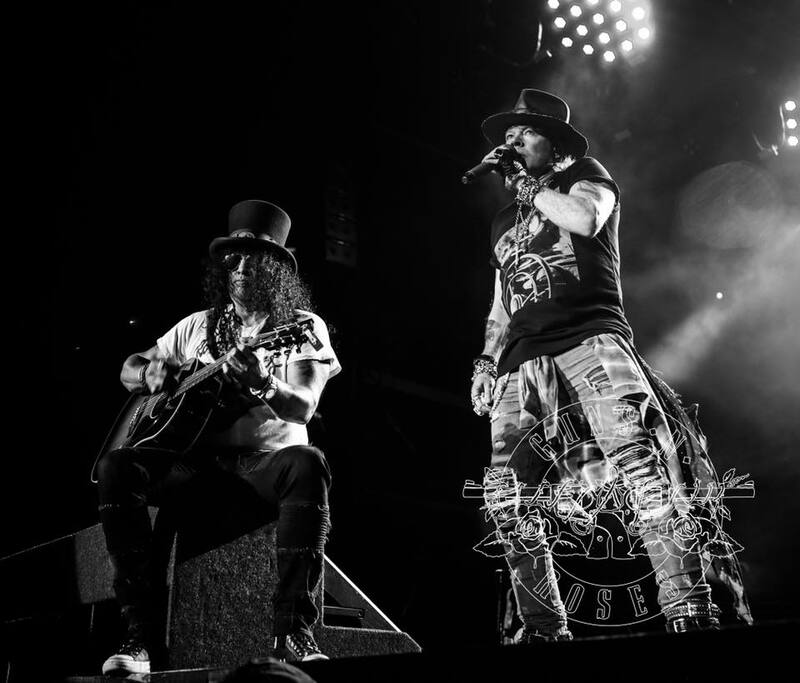 Currently on tour across Europe, Guns N’ Roses will wrap up the summer 2018 leg of their Not In This Lifetime in Iceland on July 24.